Waist trainers are known for making you sweat, so if you want to keep cool while slimming your waist, you’ll love this cotton waist cincher. It doesn’t sacrifice control for comfort, giving you the best of both worlds. 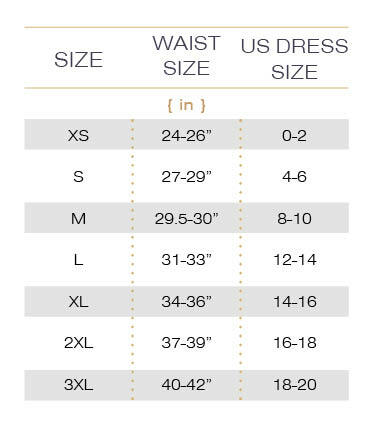 Wanting the firm compression of a waist cincher but the comfort of a lighter garment? Look no further than one of our most comfortable waist-shrinking midsection shapers. You'll never have to worry about wondering when you can get an uncomfortable shaper off in the middle of a long day. This cotton waist cincher combines powerful shaping with the comfort of cotton so you'll feel slim, smooth, confident and comfortable all day long. Underneath that comfy lining, the middle latex layer manages your middle and immediately reduces you waistline by up to 1-3 sizes while wearing it. Flexi-boning prevents this garment from rolling up, supports your back and improves your posture. Double hook-and-eye closures allow you to size down for a firm fit. If you expect your cincher to have a soft touch and a firm hold, try the Firm Control Cotton Waist Cincher by Flakisima and experience the softer side of shapewear.